Stay on top of current marketing and business ideas. Subscribe to my Profitable Marketing Weekly Audio Publication. 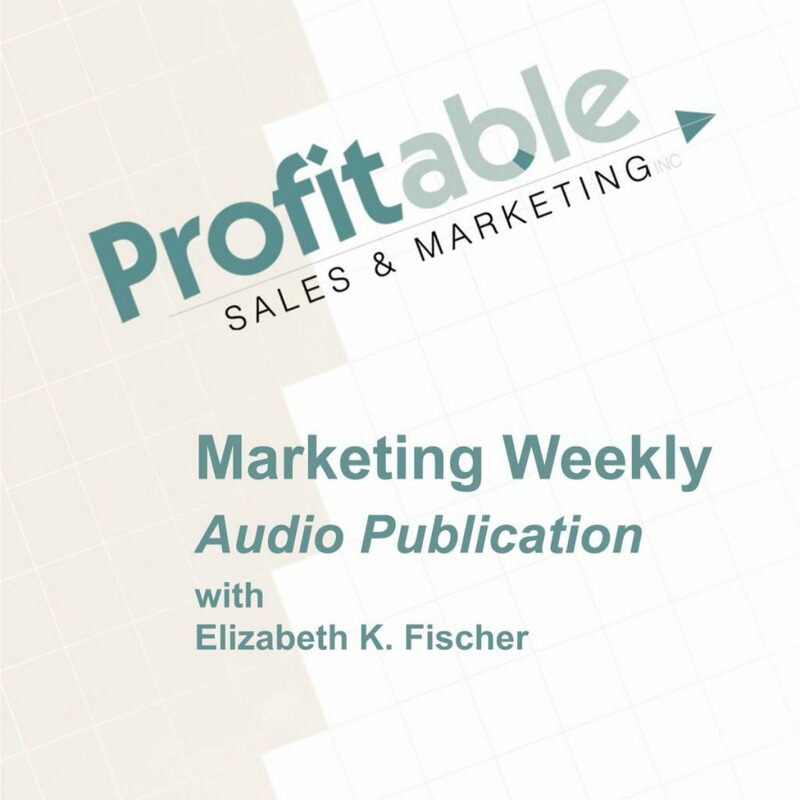 With your subscription, each Tuesday and Thursday afternoon you will receive fresh marketing and business ideas via an audio download of Profitable Marketing Weekly. Listen to each download when you have the time. Use each as a reference and listen again whenever you want. Profitable Marketing Weekly is 4.99 per week.